Rigor mortis is the stiffening of the muscles that occurs shortly after death. Since very little or no ATP is present, muscles are left contracted, stiff, and unable to relax. 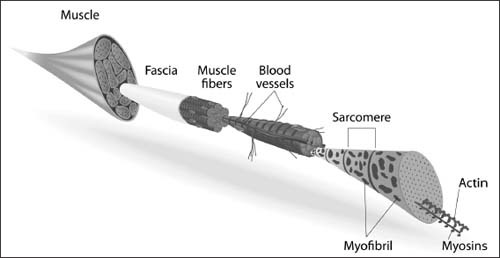 The molecules actin and myosin bind, move, and rebind within your muscle fibers in order to provide movement.